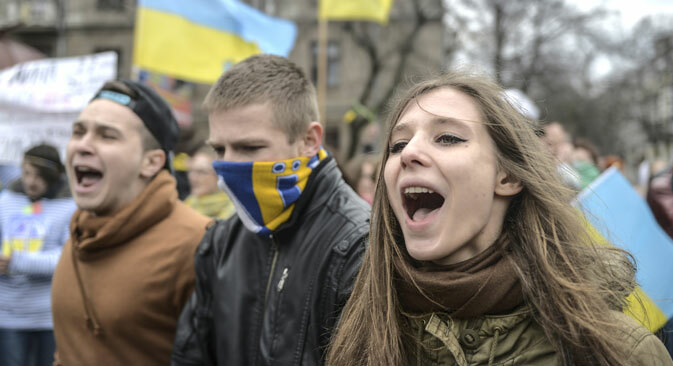 Will the Crimea crisis lead to Cold War II? With Crimea now holding a referendum on becoming a part of Russia on March 16, there’s growing anxiety from Russian and foreign experts about another Cold War, says Russia Direct. After Crimea’s parliament voted to join the Russian Federation as a constituent of the Russian Federation and scheduled this issue for a referendum on March 16, Russian and foreign experts raised the alarm about escalation of political tension in the region. There’s growing consensus that the Crimea crisis may result in a second Cold War if the world fails to come up with a compromise. All this seems to be pretty symbolic, controversial and even ill-omened in 2014, the year that sees the 25th anniversary of the fall of the Berlin Wall, the 75th anniversary of the outbreak of World War II, and the 100th anniversary of the outbreak of World War I. "Both sides need to exercise a degree of care, because I don’t think that either side is interested in allowing these differences between Russia and the U.S. to spin out of control"
According to Piotr Kościński, the head of the Eastern Program at the Polish Institute of International Affairs, any Russian attempts “to forcibly annex the Crimea” are “unacceptable to the international community” and indeed may lead to a new Cold War. In contrast, Director of the Public Policy Research Center Vladimir Evseev argues it is the West’s “political myopia” that could lead to a new Cold War. Kościński doesn’t see any reason to disengage Crimea from Ukraine, “because the rights of Russians living in the peninsula are absolutely not threatened.” He claims that Russian soldiers are deployed in the Crimea - not only in the Russian military bases, but also around the local Government buildings, airport in Simferopol and Ukrainian military bases. How does Crimea fit into international law? Can the Crimea's referendum affect Russia-Western relations? Read more experts’ opinions in the full version of the story at Russia Direct.